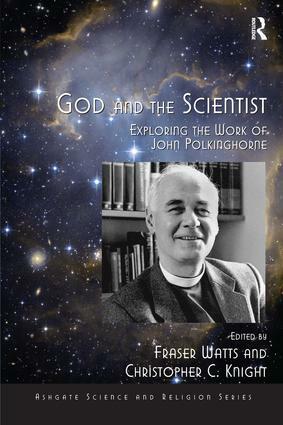 This book presents a celebration, survey and critique of the theological work of arguably the most important and most widely-read contributor to the modern dialogue between science and theology: John Polkinghorne. Including a major survey by Polkinghorne himself of his life's work in theology, this book draws together contributors from among the most important voices in the science-theology dialogue today to focus on key aspects of Polkinghorne's work, with Polkinghorne providing responses. Anybody exploring contemporary aspects of the science-religion debate will find this book invaluable. Fraser Watts is Starbridge Reader in Science and Religion, University of Cambridge, author and editor of numerous books on the science-religion dialogue; Christopher C.Knight is Executive Secretary of the International Society for Science and Religion, author of two books on the science-religion dialogue. Science and religion have often been thought to be at loggerheads but much contemporary work in this flourishing interdisciplinary field suggests this is far from the case. The Science and Religion Series presents exciting new work to advance interdisciplinary study, research and debate across key themes in science and religion. Contemporary issues in philosophy and theology are debated, as are prevailing cultural assumptions. The series enables leading international authors from a range of different disciplinary perspectives to apply the insights of the various sciences, theology,　philosophy and history in order to　look at the relations between the different disciplines and the connections that can be made between them. These accessible, stimulating new contributions to key topics across science and religion will appeal particularly to individual academics and researchers, graduates, postgraduates and upper-undergraduate students.